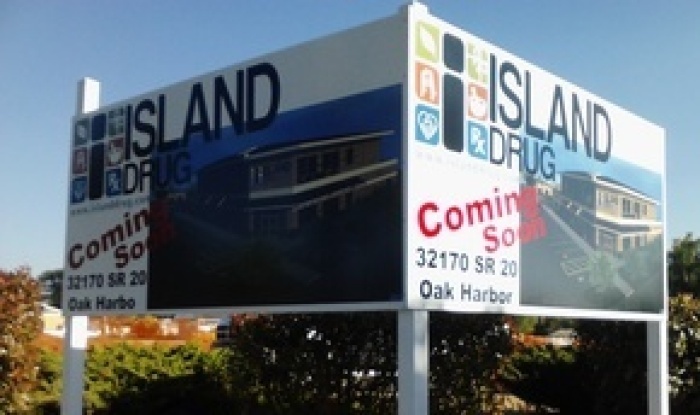 Whidbey Sign Company is a full service sign company located in Oak Harbor, WA, serving all of Whidbey Island. We are dedicated to creating professional and affordable signs for your business. As the owner I am committed to working with you to give you great looking signs that will reflect your message, your business and your products. Because you will be working with the owner of Whidbey Sign Company, I guarantee timely and professional signage you will love, at an affordable price. I stand behind my work and your satisfaction is my promise. I live by the golden rule and will treat you fairly and with respect. Quality custom built signs are my specialty. With the highest attention to detail and the professional finish, your custom built sign will thrust your “look” ahead of your competitor. No sign is too small or too big to have the right look. Whidbey Sign Company is your full service sign company. Call us today for excellent service, quality signs and great prices!